On September 19, at the 39th session of the Human Rights Council of the United Nations (UN), the special rapporteur on the Rights of Indigenous Peoples of the United Nations, Victoria Tauli-Corpuz presented in Geneva, Switzerland, the Report on her visit to Mexico from November 8 to 17, 2017. It should be remembered thats he visited the states of Guerrero, Chihuahua and Chiapas in the framework of that visit. In general, the report warns that the fight against megaprojects, as well as the defense of territories and natural resources have increased the risk of violence and criminalization, which has led several indigenous leaders to be imprisoned “despite judicial sentences that have ordered the suspension of projects or protection measures granted by international organizations “. It states that the preservation and protection of lands, territories and natural resources of indigenous peoples should be a priority issue that requires proper regulation, in accordance with international law. This topic was resumed the following day in an event entitled “Defending the territory in Mexico” convened by the Tlachinollan Human Rights Center together with the international organizations International Peace Brigades (PBI), the German Coordination for Human Rights in Mexico, the World Organization Against Torture and the National Network of Civil Organizations for Human Rights All Rights for All (RED TDT), an event in which the Rapporteur was also present. “The leaders and indigenous communities who oppose the projects are killed, forcibly displaced, threatened and intimidated and subjected to insidious harassment in the form of criminal accusations that are often imprecise, highly exaggerated or fictitious”, the rapporteur warned. From 22 April to 2 May, the Special Relator of the Untied Nations on extrajudicial, summary, and arbitrary executions, Christof Heyns, visited Mexico, where he met with governmental officials, judges, members of civil society, and victims in Mexico City and the states of Chihuahua, Guerrero, and Nuevo León. Upon finishing his visit, Heyns urged the Mexican government to strengthen the structure of the country in terms of protection of human rights in general and the right to life in particular, so as to reduce the necessity of the use of force. 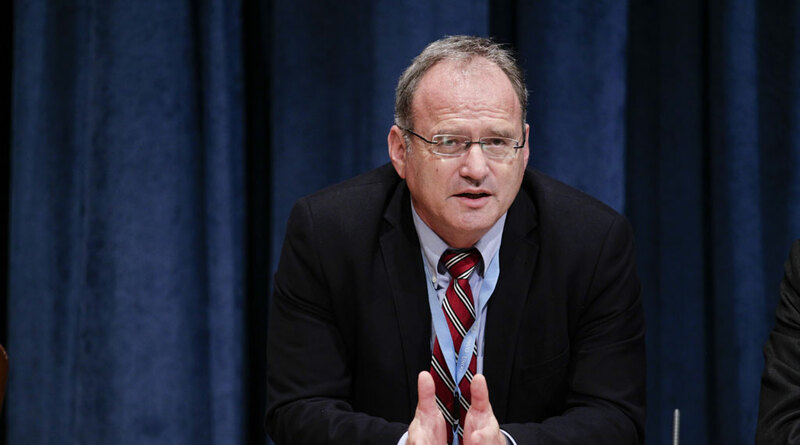 Mr. Heyns also recommended the reduction of the involvement of military forces in police tasks. “From my point of view, it is particularly important to diminish the participation of soldiers in police work, to assure that civil courts judge members of the armed forces who have been accused of committing human-rights violations, including murders of civilians; and to establish clear and broadly recognized standards on the use of force on the part of public-security forces,” he said. The Special Relator also called special attention to the problem of impunity: “All of these lives that have been lost should be investigated with the same rigor, and each perpetrator should be apprehended and judged. To follow this object it would serve not only to diminish impunity but also to re-establish the value that society places on life,” he emphasized. Heyns stressed the importance of making justice by solving past homicides, whether committed during the Dirty War, or the more than 100,000 registered during the government of Felipe Calderón. Whichever strategy is chosen for the future, he noted, must first look to the past. On February 10, for the first time, Mexico underwent the Universal Periodic Review (UPR) before the Human Rights Council of the United Nations (UN) in Geneva. The UPR is a mechanism of the UN whose objective is to examine the achievement of human rights agreements and obligations in each member State. The critics of the presentation given by the Mexican government have been many and vocal. Jose Luis Soberanes, the Mexican ombudsman, stated that “the issues have been badly presented” and the results “have been manipulated”. He also expressed that in Mexico “the problem that we have is that what is resolved in the international bodies, such as the Human Rights Council, later is not implemented. There is a gap between what happens in the international bodies and what happens internally”. The government stated in its report the proposal to withdraw the military from the fight against organized crime in the long term and support the establishment of a National Program of Human Rights. This plan has been questioned by organizations for being proposed solely for the UPR and without the intention of actually implementing it. In addition two other reports were presented: the first compiled by agencies of the UN and the other by NGOs. While the Mexican state presented its report, the Mexican and international NGOs were allowed to be present but were not allowed to talk. The report of the organizations from civil society, which was presented in September of 2008, showed a different reality with regard to human rights in Mexico. It criticized that the militarization and the fight against organized crime has focused entirely on questions of security and has sacrificed respect for human rights. It stressed that criminalization of social protest continues along with aggression and hostility towards human rights defenders, violations of fundamental guarantees by the military, feminicide, torture, and arbitrary detentions. International organizations like Amnesty International and Human Rights Watch strongly emphasized problems of impunity in Mexico. They pointed to “the hundreds of homicides and the 700 forced disappearances which took place between the 1960s and 1980s” and that it still continues by not giving sentences according to the facts in San Salvador Atenco and in Oaxaca in the last few years. “The agents of the federal, state, and municipal police of Mexico are implicated in grave human rights violations; such as torture, violations, and homicide, especially the actions committed during the civil disturbances in San Salvador Atenco and the City of Oaxaca in 2006, which have still not been brought to justice”. Friday, February 13, the countries carrying out the review on February 10, South Africa, Pakistan, and Nicaragua, will present their report to the public. The government of Mexico will show in the document if it accepts, rejects, or waits to decide on the criticisms and proposals which the Council formulated in the session on Tuesday.